The Vurger Co Goes Cashless! A New Year – a New Way. We promised you that we would always keep innovating and we are really excited to announce the first innovation of 2017! As of 1st January 2017, The Vurger Co is officially 100% cashless! 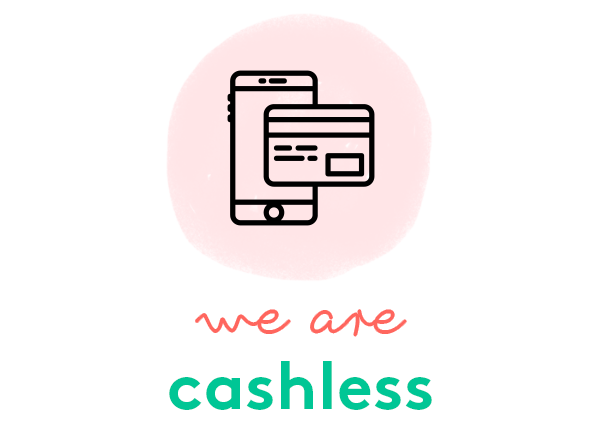 We have decided to embrace the future 100% and take our business 100% cashless. The use of cash in the UK has been declining for years, and in 2015 cashless payments officially overtook cash payments across the UK. We are proud that from our very first day of trading at Tottenham Green Market, we have offered customers the chance to use cashless payments, including Apple Pay, and we are very proud to be amongst the first hospitality businesses in the UK to be moving to a 100% cashless system. 3. Safer for our staff – our staff will be protected, especially whilst working late at night, as there will be no cash on our premises at all. 4. Safer for our business – our business will be protected from theft, which is extremely important especially whilst we are just starting out. 5. Future proof – this will pave the way for us to start developing even more payment innovations as we grow the business. 6. No animals harmed! We are sure that the Bank of England will eventually get around to fixing their mishap with the new £5 note, but not before millions of these notes and the new polymer £10 note expected this summer, are circulated. We are dedicated to innovating, developing new techniques and new ways of experiencing great food, so we hope you jump on board with our decision to become one of the first cashless businesses right from the very start! So there you have it! Come and enjoy some fantastic food at The Vurger Co, and leave the cash at home! See you on Saturday, have a great week! But......Where do you get your Protein?